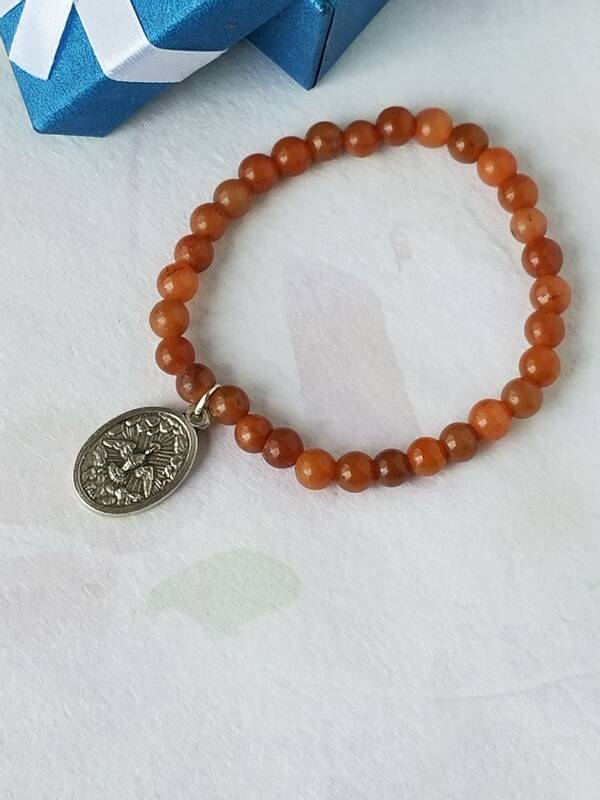 Catholic, Orange Jade Bracelet, Gemstone Bracelet, Round Beads, Elastic Bracelet, with a Holy Spirit and Holy Family medal, one of a kind, 7 1/2 inches bead stretch Bracelet. 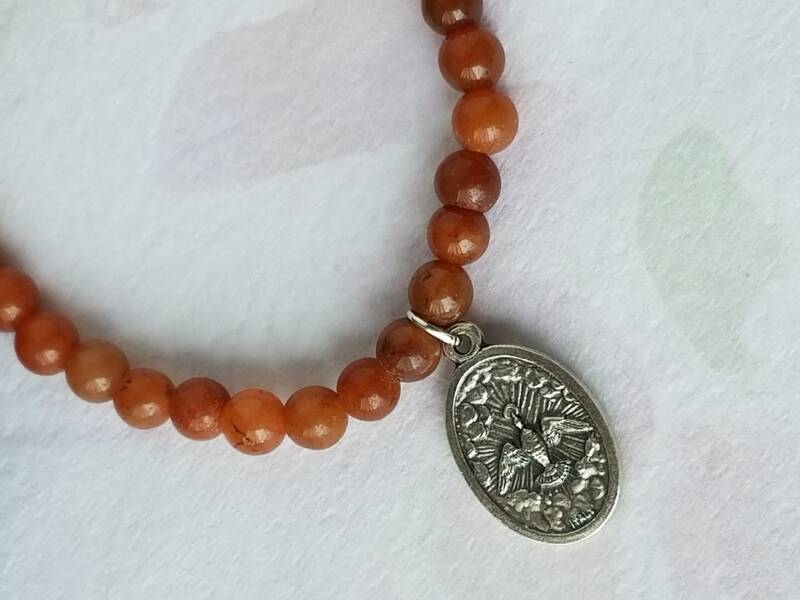 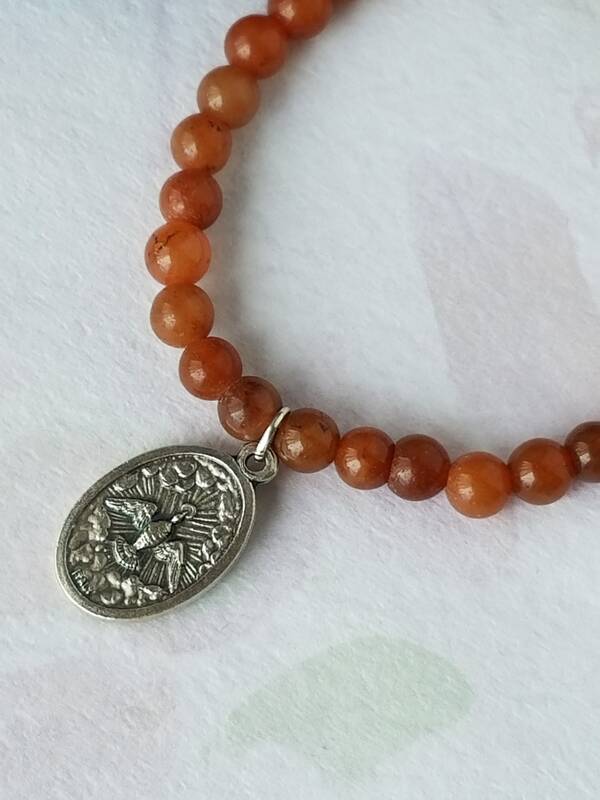 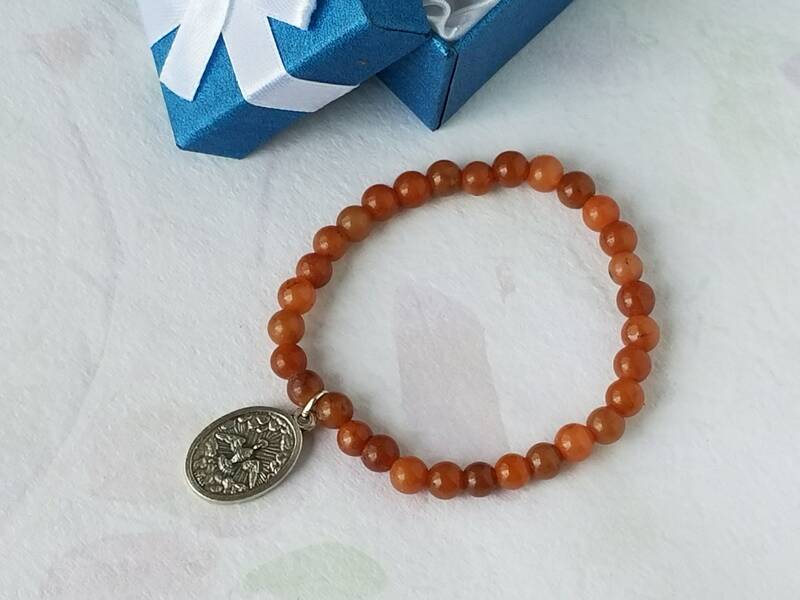 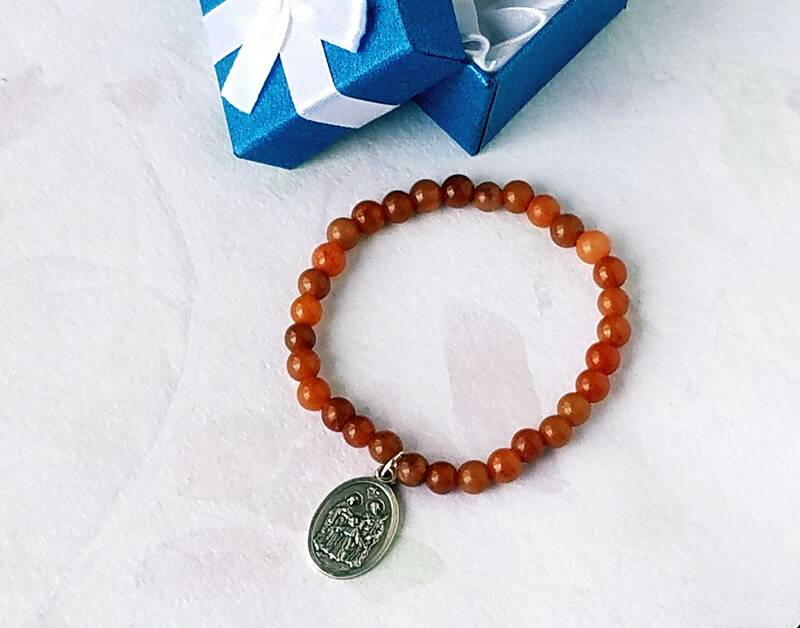 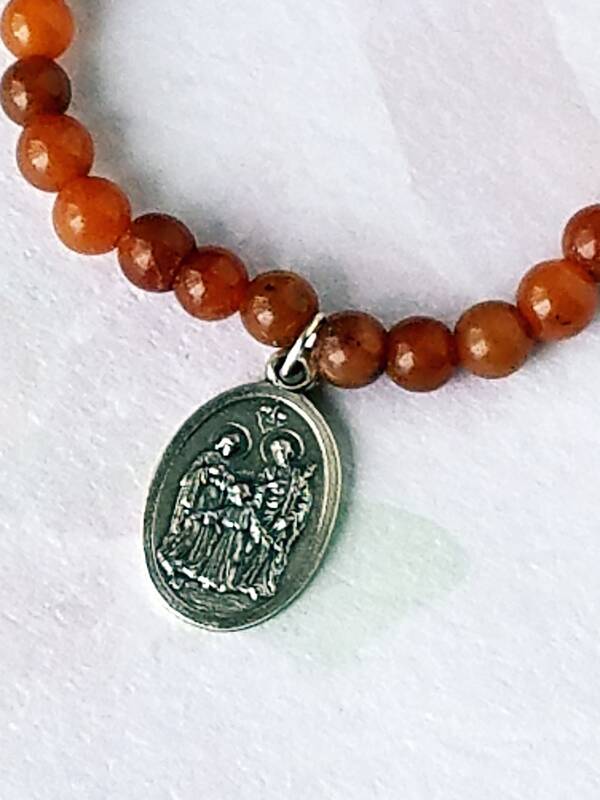 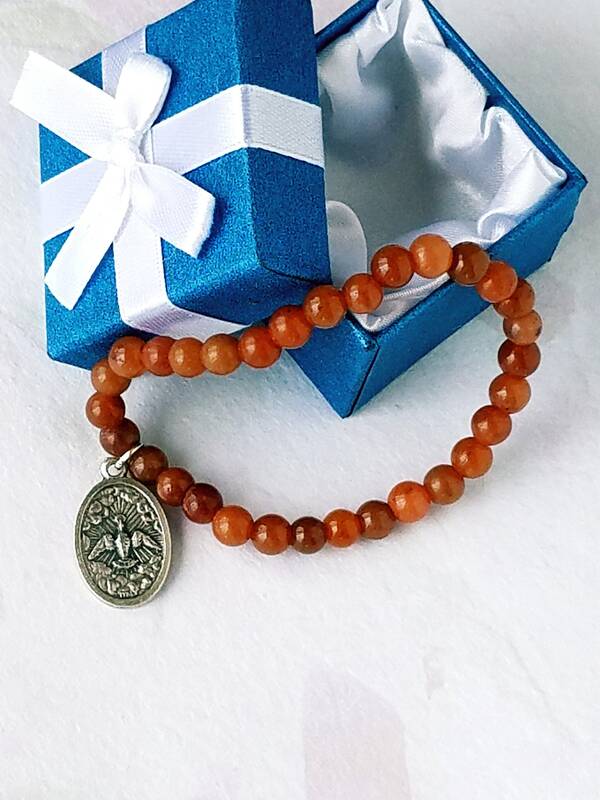 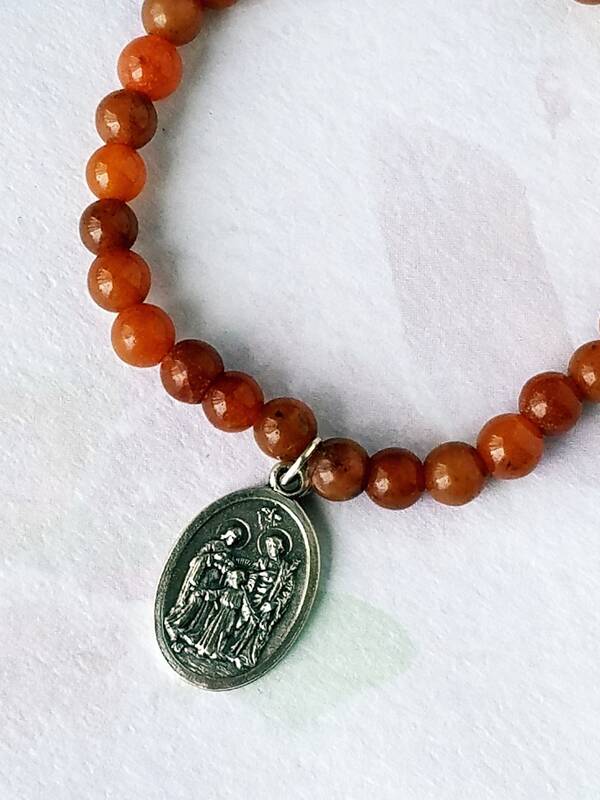 Perfect for everyday wearing and gift giving for anyone who has a devotion to the Holy Spirit and/or Holy Family and or loves the simplicity of the orange jade gemstone. 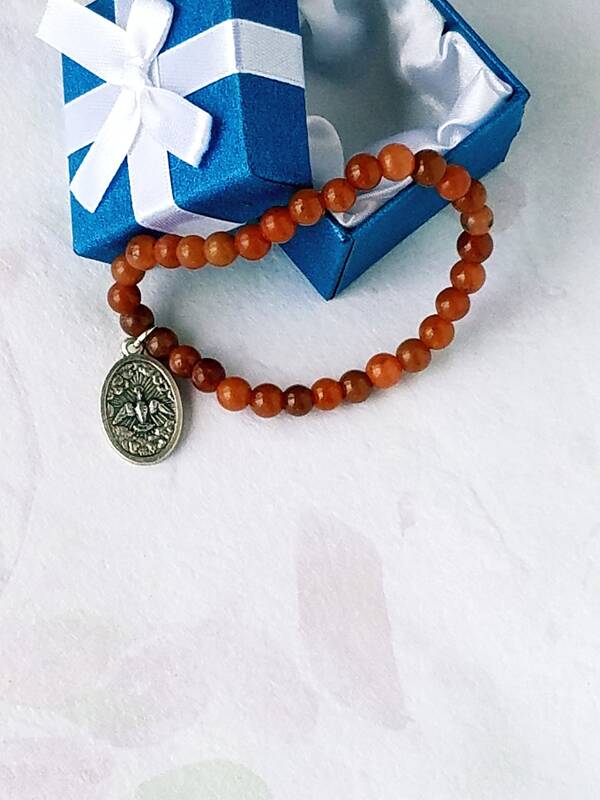 Great Sacrament gift for First Communion, Baptism, Confirmation.